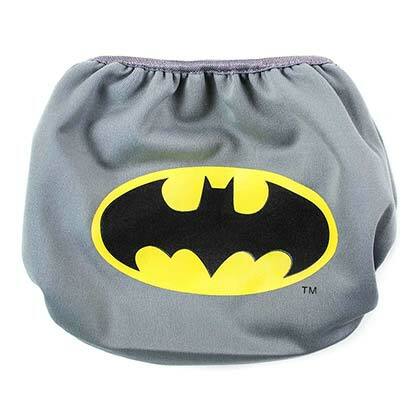 Officially licensed reusable Batman swim diaper. Side snaps make for a perfect fit and a quick and easy changes. 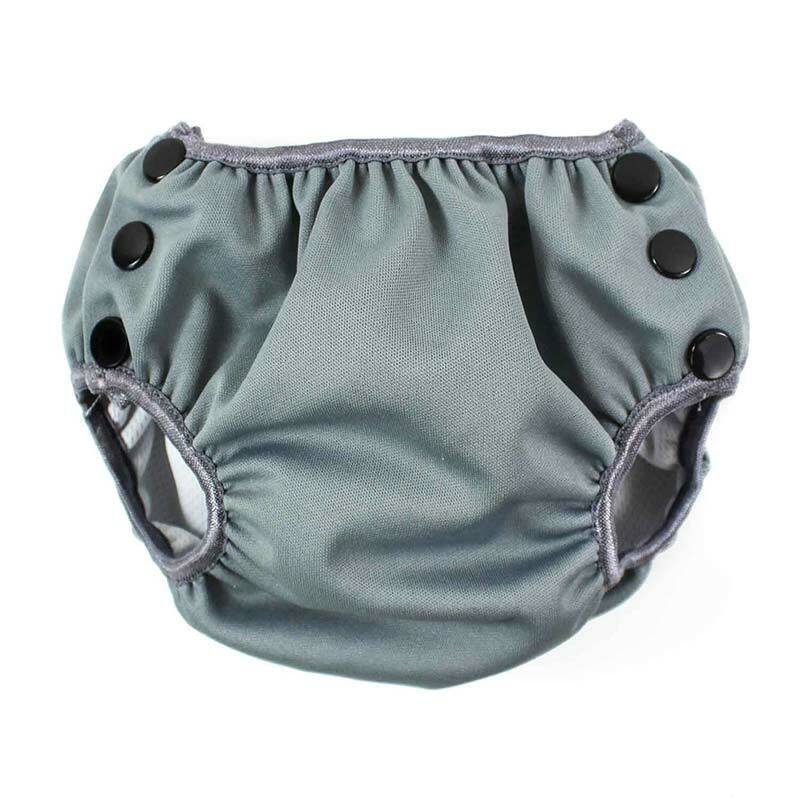 Waterproof PUL exterior helps keep solid messes contained. Meets the health requirements for most public pools. Small fits 8-16 lbs, medium fits 16-30 lbs, and large fits 30-50 lbs. Machine washable.